The YMCA Arverne By The Sea indoor waterpark pool with a zero-entry access features a 14-foot high water slide, a removable 48-inch floating frog, an interactive “Spin and Splash” dome, all-tile decking and slot gutters. The complex engineering project required precision hydraulics to maintain proper water flow throughout the pool and slide. A separate 15 horse power pump is used to consistently push water through 8 inch return lines at a rate of 1000 gpms for the 100-foot long water slide. 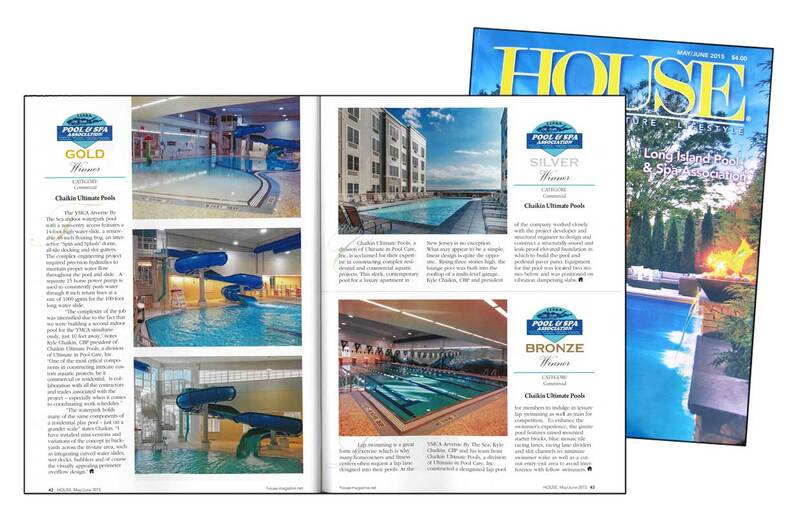 Chaikin Ultimate Pools is acclaimed for their expertise in constructing complex residential and commercial aquatic projects. 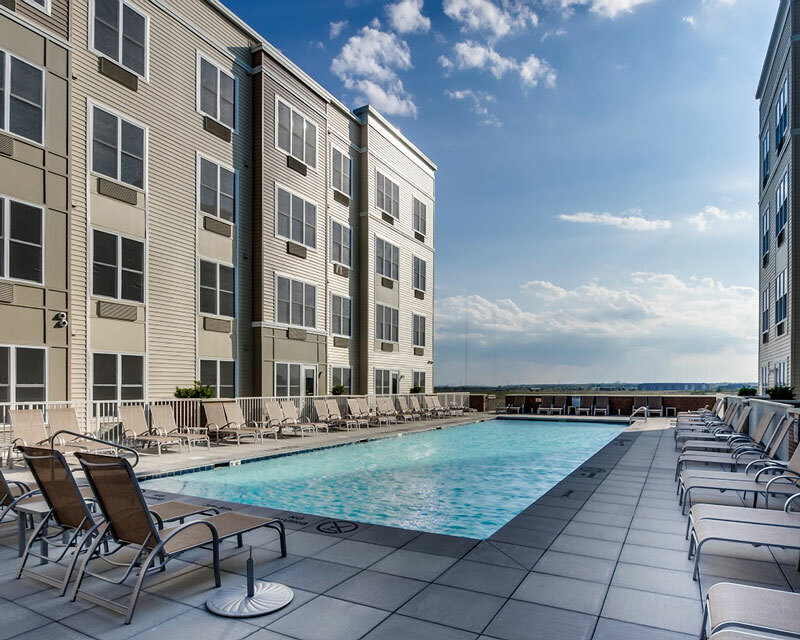 This sleek, contemporary pool for a luxury apartment in New Jersey is no exception. What may appear to be a simple, linear design is quite the opposite. Rising three stories high, the lounge pool was built into the rooftop of a multi-level garage. Kyle Chaikin, CBP and President of the company worked closely with the project developer and structural engineer to design and construct a structurally-sound and leak-proof elevated foundation in which to build the pool and pedestal paver patio. Equipment for the pool was located two stories below and was positioned on vibration dampening slabs. Lap swimming is a great form of exercise which is why many homeowners and fitness centers often request a lap lane designed into their pools. 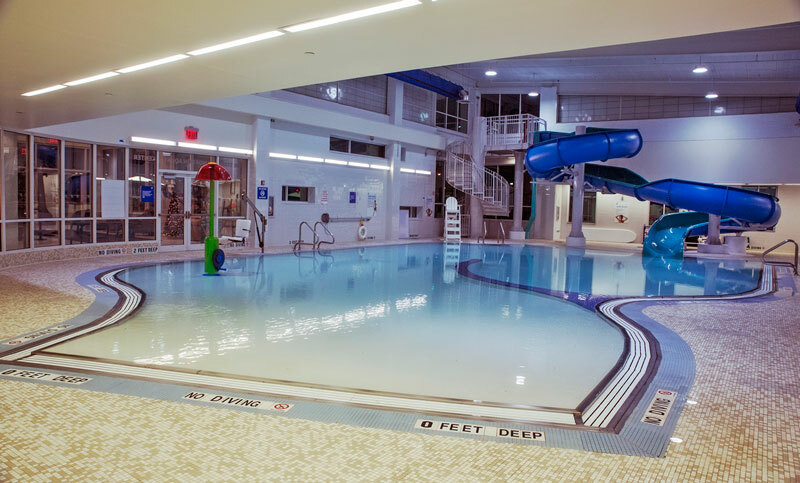 At the YMCA Arverne By The Sea, Kyle Chaikin, CBP and his team from Chaikin Ultimates Pools constructed a designated lap pool for members to indulge in leisure lap swimming as well as train for competition. 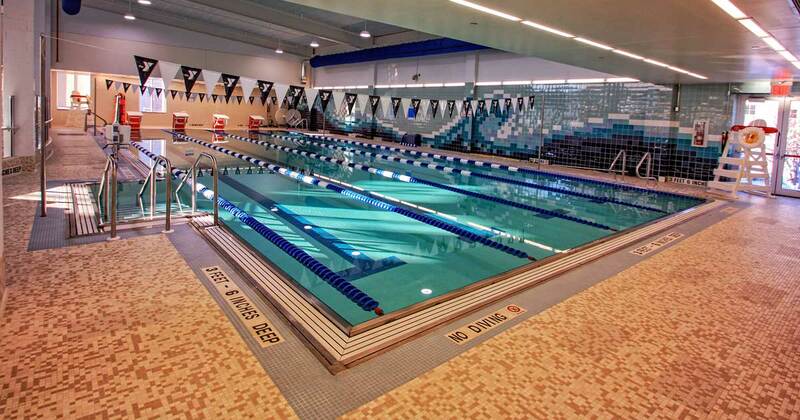 To enhance the swimmer’s experience, the gunite pool features raised mounted starter blocks, blue mosaic tile racing lanes, racing lane dividers, slot channels to minimize swimmer wake, as well as a cut-out entry/exit area to avoid interference with fellow swimmers.